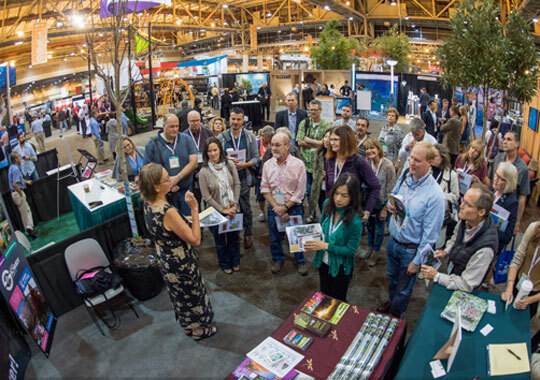 Tickets bought and bags packed; we’re ready to talk trees with hundreds of landscape architects who will soon gather in Los Angeles for the Annual Meeting and EXPO of the American Society of Landscape Architects. Northwest Shade Trees of Brooks, Oregon, will join us as exhibit partners at the October 20-23 meeting that will take place at the Los Angeles Convention Center. The event will be the 22nd annual meeting we’ve attended since 1995, when we exhibited solo in Cleveland, Ohio. Since that first year, we’ve invited customers in the region where the meeting is held to join us as exhibit partners, in 19 cities across the continent. 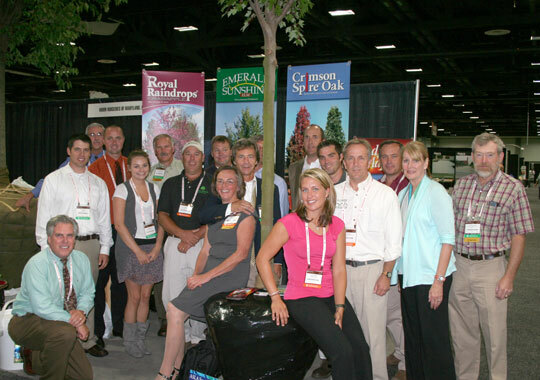 ASLA 2010 took place in Washington, D.C., where we were joined by 12 of our finest customers. 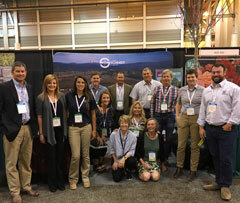 ASLA 2015 was held in Chicago, where our exhibit partners included 11 top customers plus Chicagoland Grows, Inc., and Ornamental Growers Association; representing many of our fine Illinois customers. 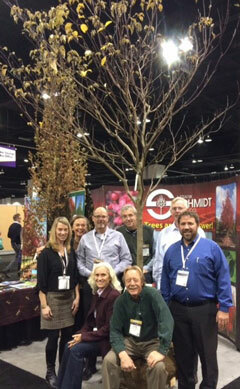 ASLA 2014 in Denver showcased the trees of four customer nurseries. We are gathered beneath a June Snow Dogwood that drew much attention to our booth. Dr. Michael Dirr was made an Honorary Member of ASLA at the 2010 meeting in Washington, D.C. 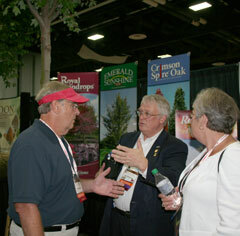 He and his wife, Bonnie, talk trees in the exhibit hall with Russ Adsit, FASLA. 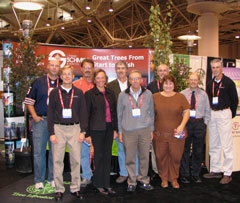 ASLA 2006 in Minneapolis showcased six customers plus the Ornamental Growers Association of Northern Illinois, which represented many of our Chicagoland customers.